Blogging is actually pretty hard for me at the moment. Not least because for the majority of the day I have a baby strapped to me or feeding on me, but mostly because I am dead on my feet with a foggy brain but filled with things to say. Too much to get out and no time to devote to writing about it. I want to attempt to tell you what it’s like to have a newborn and almost 3-year-old. Except I can’t tell you exactly what it’s like because it’s different for everyone. 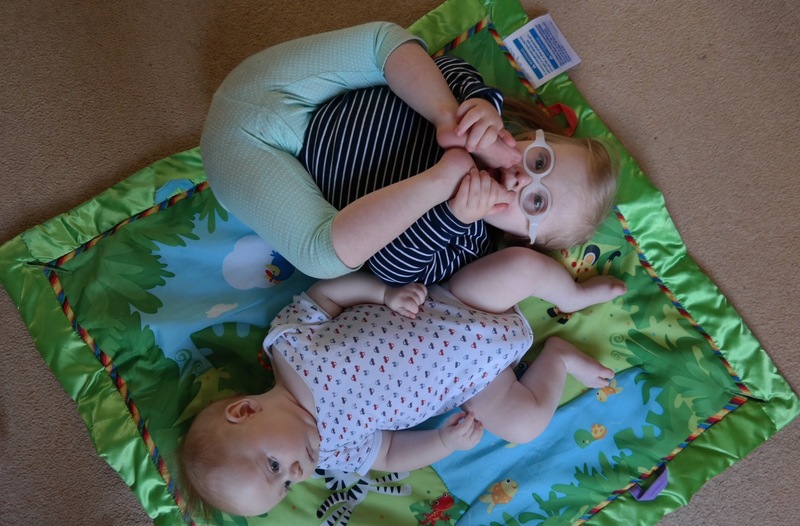 For every person that says “oh my God yes Rex sounds exactly like my first child – I had to build a fortress of cushions so that I could sleep with the baby propped on me at night!” there’s another person who says having two is a breeze; the second baby just slept all the time. That second group of people are how we ended up in this mess. I want to talk about Audrey and how much she has changed. She is literally gaining new skills every day, from crawling and climbing, to more words and confident interaction with her peers. I want to boast about her, talk about how proud we are… But also moan because she’s being stroppy and playing games to get mummy attention. I want to moan about giving up dairy, because I bloody love cheese and milkshakes and cake and… but I also want to brag about how much it’s helped Rex to settle. He’s a different baby. Oh and even with a dramatic diet change I can find a way to eat crap – Oreos are dairy-free you see and so are dodgy chewy sweets and marshmallows. And of course Rex settling means I want to finally say – he’s gorgeous! He’s beautiful! Still hard work (babies are), but now we get joy from him and I can see the light at the end of this tunnel – it no longer seems so far. We need to get him sleeping independently, but we’ll crack it eventually. I want to moan about how much babies age you- I’ve always felt and looked a bit younger than I am. People would generally be surprised by my age. I am definitely 37 now. I have two kids and the dark eye circles to prove it. Eek. So much to cover, all of which I planned to be several long blog posts of my ramblings, but there you have it, I’ve told you in one for now. And I’ve done it all with a baby sleeping in my arms, who has unfortunately woken up because my leg was going dead and I had to move it. Bloody kids. But wow, Rex is 3 months old! 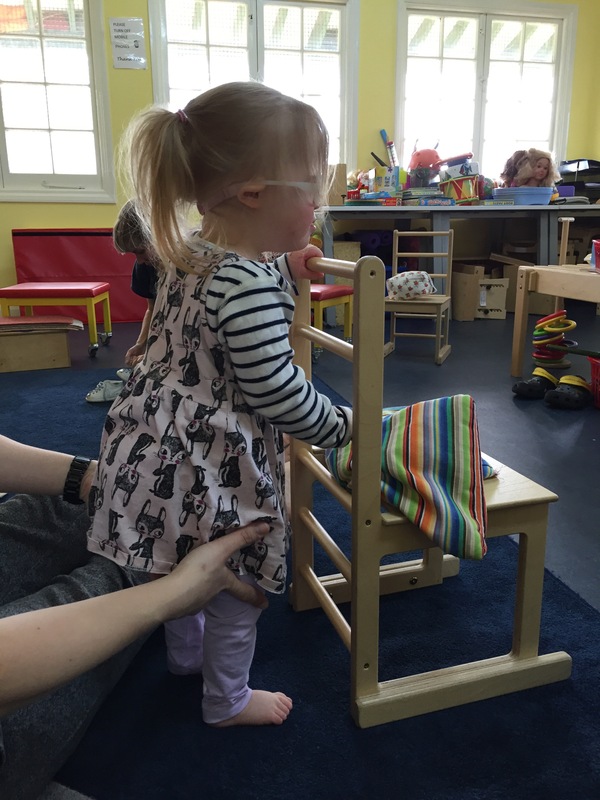 Audrey has successfully walked on her own with a walker (both a standard plastic thing at home and a fancy rollater at conductive education)! Yes, I cut straight to the juicy detail there. It feels so exciting and terrifying to think she might be close to walking. When Audrey was a baby, I looked at the parameters for children with DS walking (from typical age to 5 the book said) and I thought; “well she will walk at typical age or not much later”, because I wanted to be positive, but also I believed in Audrey. 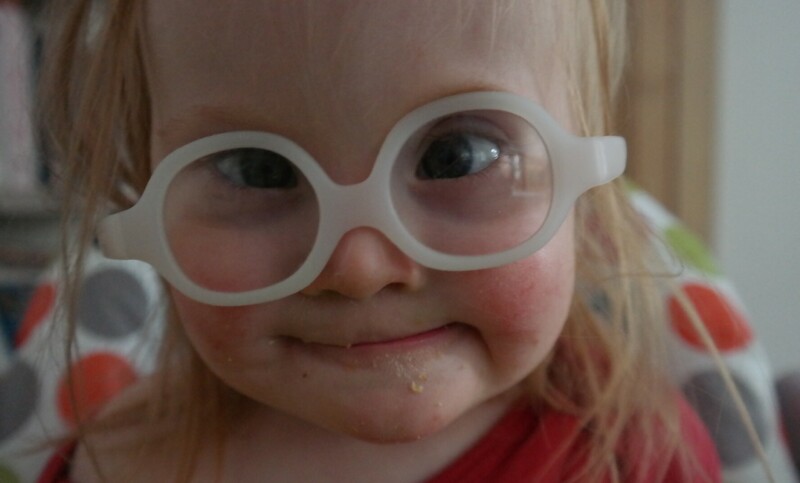 I knew she was the greatest kid with Down’s Syndrome I’d ever known, I was so sure that with lots of help she could hit all those milestones as early as possible. The reality is, even if we had been super hot on physio and/or lots of crazy gadgets for walking/improving muscle tone, Audrey would still be delayed. She has low muscle tone that is hard to deny. Plus she chose to bottom shuffle rather than crawl – this is practically walking, she has her hands free. So in her eyes, no rush! As I look at this year, the year she will possibly walk independently, I feel a mixture of emotions. I’ve been so desperate to see her run around like her peers. She misses out on park time, outdoor play and even soft play (you need to be able to climb). However I’m worried about how it will change things – eyes needed in the back of my head? A child that’s no longer happy in the buggy or sitting in a high chair? I know this is standard progression and something mums of typical children have dealt with already by 14 months (is that the average walking age?? ), but Audrey is 3 in July and I still haven’t had to worry about these things. She is just starting to realise that Rex is taking up mummy time, she is calling out for me a lot, following me around and is trickier to get settled at night time. Audrey is really growing up. I love being her number 1, but it’s so hard when I can’t devote all my time to her. 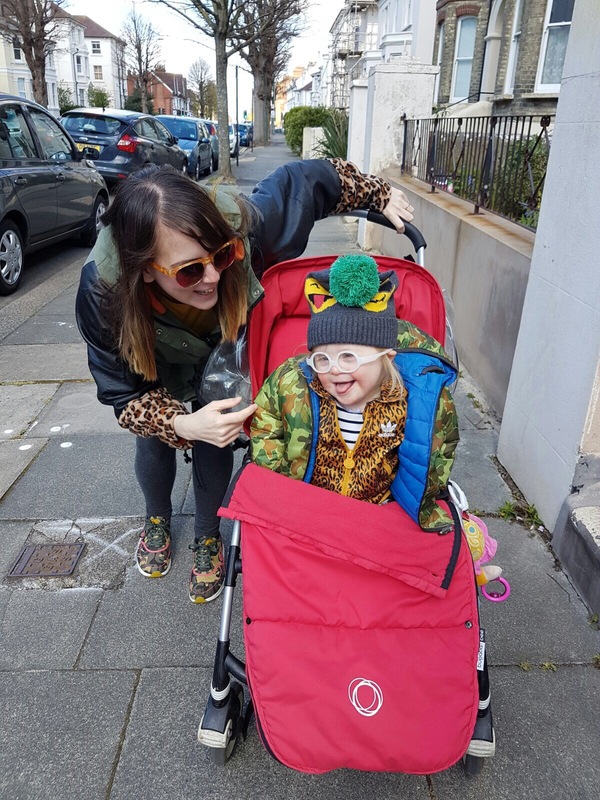 I hope her improvement in walking, standing and climbing will help give her some independence and help her to need me less, although I suspect I’m in for many months of struggling with how to split my time between demand breastfed baby and demanding toddler!